Tea Implements, Ichieisai Kōmin (Rakuzan) — Sydney L. Moss Ltd.
Sydney L. Moss Ltd., Kokusai The Genius, 2016, vol. III, no. 552. 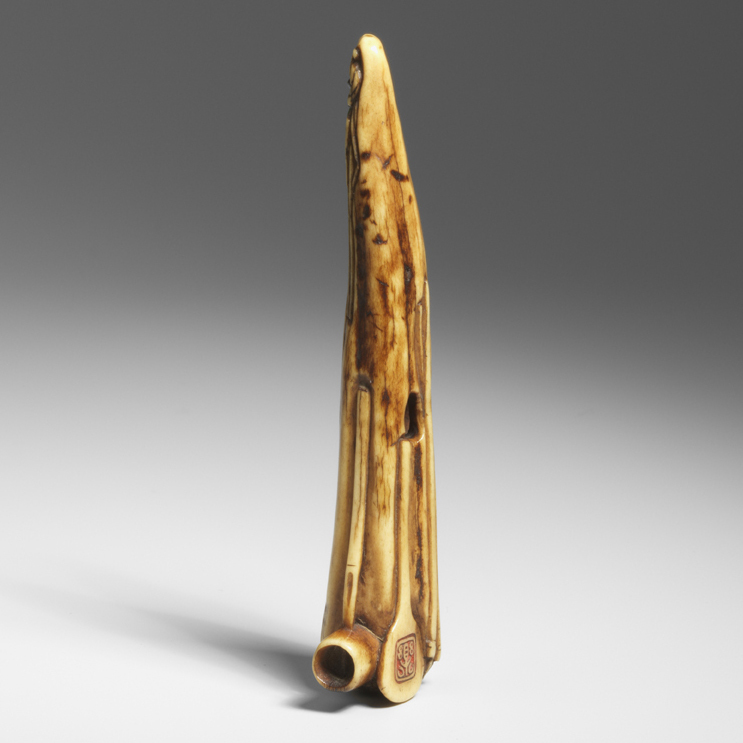 A stag-antler netsuke with a collection of tea implements.